Throughout the course of Gundam history, Gundam has generally tried to stick to a realistic feel more so than anything else. However, around 1994 Sunrise introduced G Gundam, the likes of which has never been previously seen. G Gundam proudly boasts the title of being the most exaggerated and outrageous Gundam series of them all, the sort of series where the decibel levels the pilot’s screaming directly translates into his strength. The main character, Domon Kasshu, travels all over the world participating in the, “Gundam Fight”, an international Battle Royale styled competition, where each country sends a Gundam to fight and the victor claims control of all the colonies for their country. Sunrise had a lot of fun playing with cultural clichés in the mechanical designs, clearly seen with Neo Canada’s Lumber Gundam or Neo Holland’s Nether Gundam. 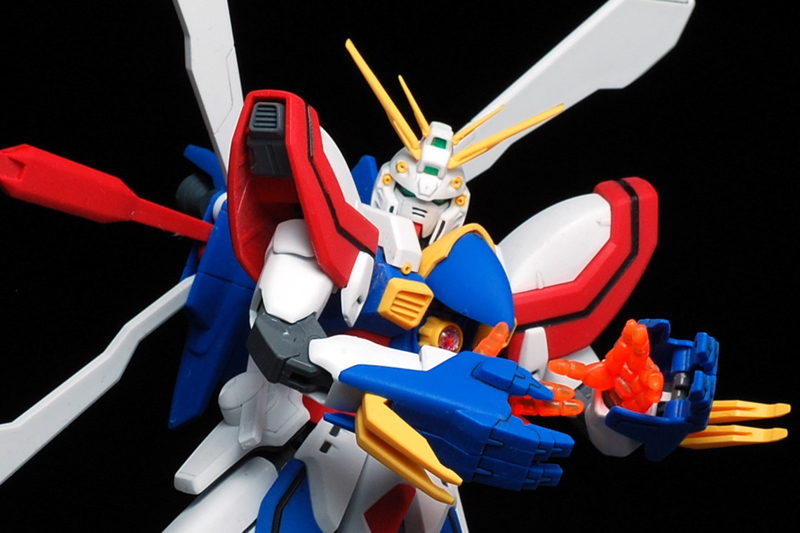 In the story, God Gundam is the epitome of Japanese engineering, boasting superior strength and lightning quick speed. In reality, the Master Grade God Gundam is a less than godly. While it is an inexpensive and good-looking MG kit, its dated engineering and quality controls are significant blemishes to the model as a whole. To a TV anime series, the conclusion can either make or break a viewer’s opinion of it. A weak ending may ruin an otherwise entertaining series, and a strong ending can make even the most mediocre series seem memorable in the minds of the viewers. The animation studio GAINAX certainly knew the importance of the conclusion when they were wrapping up their 27-episode series Tengen Toppa Gurren Lagann back in 2007. To ensure the realization of a big and flashy ending, they saved their titular mech for the last episode. Measuring on the scale of entire galaxies, Tengen Toppa Gurren Lagann (henceforth abbreviated as TTGL) is the unquestionably largest mech ever conceived, and the action in the final episode did not fail to measure up the its immense size. Kaiyodo’s Revoltech action figure of TTGL probably came as a surprise to many fans due to the exotic nature of TTGL’s design. 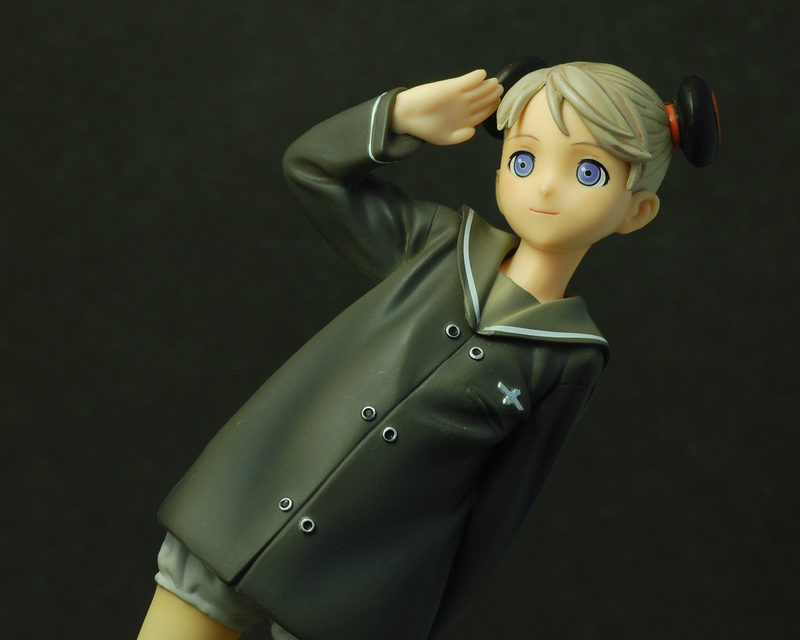 However, sculptor Katsuhisa Yamaguchi did a good job of translating it from the TV screen to a tangible plastic form. While it’s not without flaws, the Revoltech TTGL manages to balances aesthetics with playability to a very admirable degree. 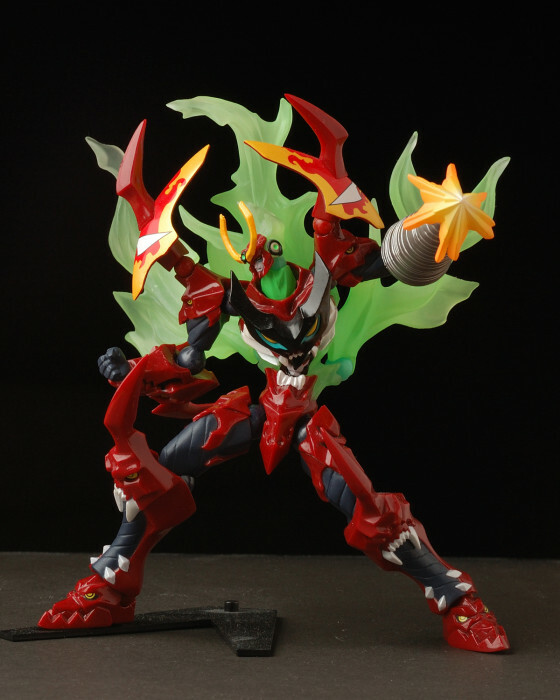 And while as a toy it isn’t quite up there with its predecessor Revoltech Gurren Lagann, fans of the series would definitely find plenty to love here.